By focusing on challenges and problems there isn’t space to see these opportunities. Our conscious minds only actually have space to process 5-7 pieces of information at any one time – so if we’re juggling all the things we’re trying to avoid, we miss the things we actually want. Feelings of threat and challenge release cortisol into our system – one of our fight or flight hormones. This hormone is a trigger for the body to shut down all our non-vital systems so that all of our energy can flow to the systems needed to fight or to flee – a very focused state. These non-vital systems include the more creative elements of our brain – so increased stress reduces our creativity. While this worked well for cavemen (and women), when the threat was resolved pretty quickly (you escaped or were eaten), the constant ongoing “threats” we face on a day to day basis aren’t sorted so quickly – and so we end up in this state of stress and anxiety for much longer than our bodies can deal with – losing our ability to think laterally and come up with new ideas and solutions. 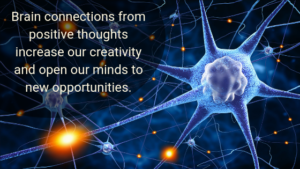 By contrast if we focus on the things that we feel good about, that we’re grateful for, and that we really want, we set the brain off looking for opportunities and open up the whole of the brain – resulting in more creative solutions and an openness to change. Our feel-good hormone, seratonin, is released, which, amongst other things, encourages more connections in the brain, sparking ideas and coming up with new solutions. A much more appropriate way to solve the non-life-threatening challenges of today. It’s much easier to visualise what we don’t want because it’s often the thing we are dissatisfied with, making it a strong and solid experience which, especially if we’re in a negative frame of mind, is easy to develop into a worse case scenario. To compete with this we need to create an even stronger, compelling, exciting visualisation of what we do want – our ideal! Firstly – don’t get put off by the word. Visualisation doesn’t necessarily mean that you see super clear pictures in your imagination. If you can describe a bad day, then you can definitely describe a good day – and that’s really the first step! Smell and Taste – this is less common, but you might find that you have a taste in your mouth or that you can detect a smell as you think about the scene. (Olfactory and Gustatory). There you go – you just visualised! These 5 questions should help you tap into your ideal. I recommend thinking about these in as broad, full life context as possible. I’d also encourage you to write down your answer to these questions – as this really helps cement what you’re thinking about in your brain – and gets it to work on finding the answers. Make sure you focus on responses which describe what you want and not what you don’t want. If you’re uncertain about what you want then try to identify what the opposite of what you don’t want is and write it down as a starting point. 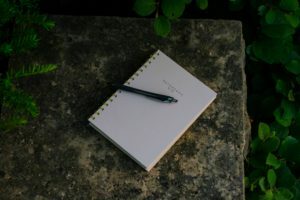 The answers you come up with first may not be the final ones – this process is designed to get you going and then you can add to it as you learn and notice more. 1. What Is the best day of your life so far? What was good about it? What were you doing that you enjoyed? Who/ what sort of people were there? What were they saying? How did you feel? You may have multiple days or events within days – all of these are relevant to consider – they all give insight into what you enjoy and what motivates you. Often people describe the birth of their first child or their wedding day as their best day – while this may not appear relevant initially – as its such a special day – it’s still worth considering what made it so special. For example, if the connection with others was important, it suggests you should make sure you have plenty of connection in your daily life. 2. What did you love to do when you were a child? 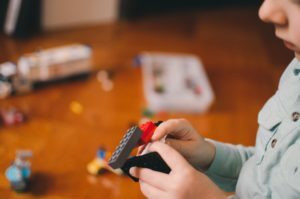 Did you play with friends, read books, build lego, play football? How might you integrate the essence of what you enjoyed in your day to day life now? When I first did this exercise I realised just how creative I used to be, painting, making up stories, existing in my own world. I also realised that I’d told myself I wasn’t creative and as a result was stopping myself from doing these things that actually brought me so much joy. I now find that working some creative expression into my day gives me a real feeling of connection. 3. What activities give you a buzz and a sense of satisfaction? Do you like learning new things? Do you like starting new projects? Finishing projects? Talking to and connecting with people? Getting things organised? 4. What are you good at? What are your strengths? Consider asking a few trusted friends or colleagues to help you with this question – you may find that they see things that you’re great at that you take for granted. I have a friend who is brilliant at asking really insightful questions, which she used to be very nervous about doing. When she realised that her colleagues really valued the perspective she brought she gained significant confidence and enjoyed discussions much more. 5. What would choose to do with your day if money and time were no object? Sometimes we use constraints like money and time as excuses when actually the real constraint is that we haven’t defined clearly enough what we want to do. Start by figuring out what you want to do – it’s amazing how we find the resources we need once we’re really connected to what we want! Read through what you’ve written down as answers to these questions and take time to absorb it. Then close your eyes and spend 5-10 minutes dreaming about your ideal day (put some nice music on in the background if it helps). 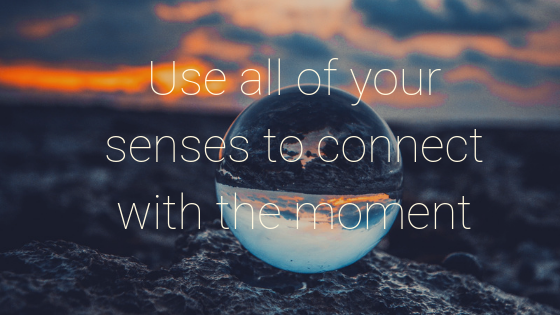 Remember to pay attention to all your senses and really get into that visualisation. When you’ve finished, write down anything new that has come to you. Over the next week or so read through this each morning to get you inspired and review and add any additional insights to it each evening before you go to bed. Notice what changes for you and how you feel as a result. Please come back and share your experiences and insights in the comments below! hello!,I really like your writing so a lot! share we keep in touch extra about your post on AOL? I need an expert on this area to solve my problem. Maybe that’s you! Having a look forward to see you. Hi, happy to keep in touch. Please do sign up for my newsletter – and if you have any specific things you want to work on drop me a line on the enquiry section. (I’m not on AOL) Really pleased you like it! Perfectly pent written content, thanks for information. “You can do very little with faith, but you can do nothing without it.” by Samuel Butler. Really interesting quote – thanks – definitely got me thinking for the day! That’s a really good post, some very simple tips that are easily overlooked. I’ll be putting your advice into practice. Thank you Tim – be interesting to hear how you get on! This post says so much more information than similar blogs, and it’s immensly helpful to me. Will be returning to read future writing from you! mind if I share this? Please do share it around! Please feel free to follow 🙂 it’s what I’m doing it for! Thanks for the feedback – really glad you like it! Hi – you can sign up to my newsletter – just on this page. I’ll be sending out info when new blogs are published!